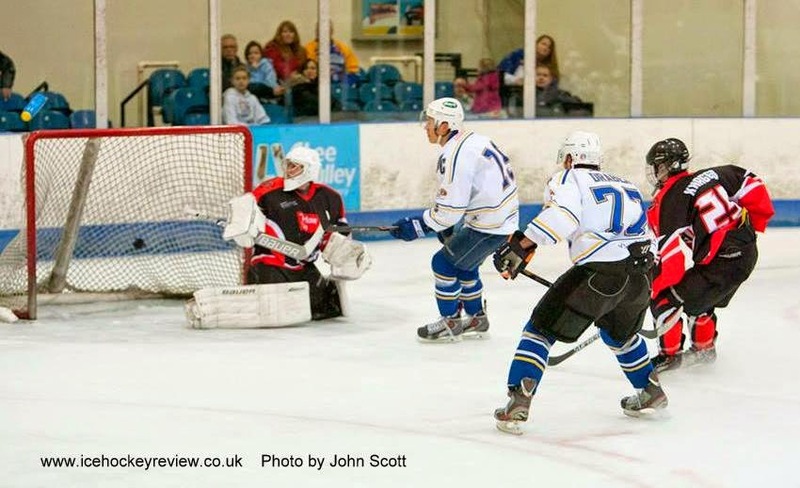 Invicta Dynamos remain top of the table after a 7-2 home win over Solent Devils on Sunday night but 2nd place Chelmsford Chieftains closed the gap to just 2 points after they picked up 3 with an 8-3 win away at bottom club London Raiders on Saturday and then a 1-1 home draw with Wightlink Raiders on Sunday. Milton Keynes Thunder had a bad weekend losing twice - 5-14 at home to 3rd place Streatham Redskins on Saturday7 and then 4-2 away at London Raiders on Sunday. That win was London Raiders first victory in 19 starts in both league and cup games and moves them level on 8 points with Cardiff Devils and Oxford City Stars.